For preparing paala kova (Doodh Peda / Khoa) use a broad and big pan. I have used an iron pan which is big and broad. There should be enough space for the milk to boil while being stirred — on boiling the milk should not spill out of the pan---so use a big pan. Add milk and cream to the pan and heat it on high flame stirring continuously. Cook the milk on high flame only till it becomes thick. Stirring the milk mixture continuously is very important for obtaining smooth texture of paala kova. Milk, while boiling, sticks to the sides of the pan and becomes thick. In between, scrape the sides with the ladle and add to the boiling milk. After 20 minutes of boiling on high flame milk becomes thick resembling heavy cream. Cook for some more time till moisture evaporates and the milk becomes thick. Remember to stir the milk mixture continuously. After 30 minutes observe that the milk has reduced further becoming thick. At this stage add sugar. Add sufficient quantity of sugar or add sugar as per taste. After adding sugar lower the flame to minimum and cook stirring. When sugar melts, the thickened milk mixture becomes liquid. Cook stirring on very low flame till the mixture becomes thick.Do not be tempted to cook on high flame. As the pan is sufficiently hot and there is not much moisture left in the milk mixture, if we cook on high flame the mixture gets burnt at the bottom of the pan. Bubbles appear while cooking when there is moisture in the milk mixture. When bubbles disappear while cooking, then the paala kova is ready to be removed from the pan. Transfer the prepared paala kova into a plate and set it aside to cool to room temperature. Once cool, paala kova is ready to serve. To shape it into pedas, cool the paala kova in refrigerator for some time. The paala kova thickens on cooling. Smear ghee on palms and take a small portion of the paala kova and make round by pressing between palms. When the prepared ball is round press it lightly with finger in the centre to give a slight depression. Like this prepare pedas from the paala kova and store in refrigerator till use. The pedas prepared from the paala kova will not retain their shape when kept at room temperature. To make the pedas which retain shape at room temperature, add small quantity of maida while cooking the milk-cream mixture. 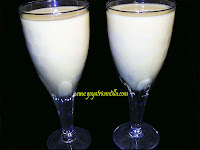 Use full cream milk to prepare paala kova. If not using full cream milk, add some cream to get the rich and creamy texture paala kova. Use sugar according to taste. Depending upon the quality of milk and the quantity of kova obtained from such milk, add sugar. 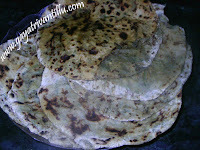 Use a big and broad pan to prepare paala kova. When the surface area of the pan in which paala kova is cooked is large, it will allow the milk to evaporate fast. Milk has a tendency to form a layer of thick cream while boiling. This thick cream gives a grainy texture to the paala kova. So, to get a smooth textured paala kova, stir the milk mixture continuously while cooking. Stirring will not allow the milk to form cream layer—this way the cream gets incorporated into the milk giving the paala kova a smooth texture. After much of liquid evaporates from the milk mixture, cook on low flame to avoid burning at the bottom of the pan. The prepared paala kova will be soft and smooth to touch and melts in your mouth. The Paalakova doesn't last more than 12 hours in my home, because we consume it immediately as it is very tasty!!!! 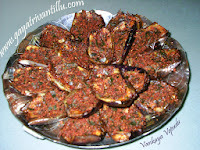 Hi Gayathri garu, i like ur recipies very much i tried some like Kova,chiki etc it came good. my baby like that kova very much. I want buy the food processor kindly suggest the brand for me pls.... while i am reading the reviews every one telling that some of the processors are not working. my id is sree.717@gmail.com. Thanks for recipes sree lakshmi.